The love that a family shares for one another compares to nothing else in this world. Being able to capture just a glimpse of that love on camera for the family to remember and re-live for a lifetime is what makes me passionate about what I do. 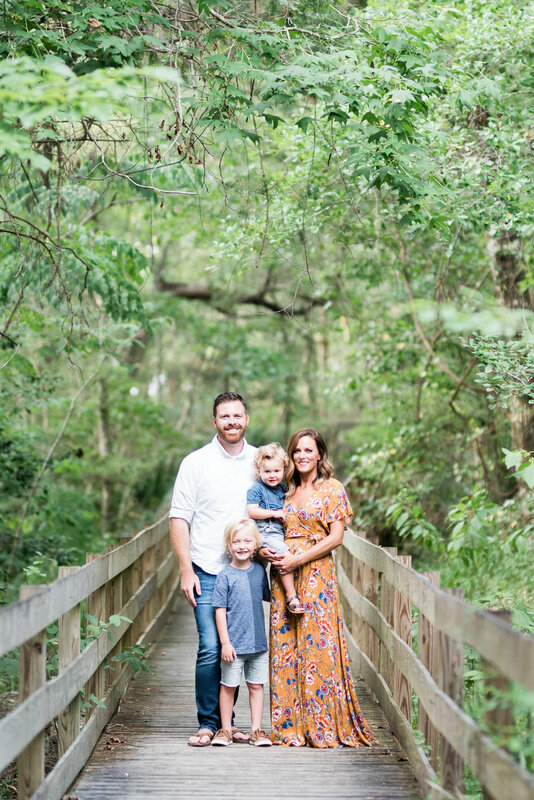 Blakeley State Park was the perfect setting to take family portraits for this fun adventurous group. The boys loved chasing the bugs as we took couples photos and the lighting was just absolutely stunning during golden hour. I have known The Walters for quite some time now and always enjoy taking their family photos! I remember watching their youngest son in our church nursery when he was just a newborn and now he is about to be two years old. It is crazy how fast time flies by!